Florida law has some of the strictest rules prohibiting the use of controlled substances. Federal law also sets tight restrictions on a significant number of drugs, making it illegal to even possess the narcotics without proper legal authority. However, it also can be illegal to possess anything that is used in connection with them. Use or possession of drug paraphernalia remains one of the most common charges that accompany possession of a controlled substance charges. This is a first-degree misdemeanor, and it should be taken seriously. The punishments for the offense can be harsh, in addition to the long-term impacts of having a criminal record. Drug defense lawyers in Tallahassee can help combat the charges. If you were arrested or charged with possession of drug paraphernalia in Tallahassee in Leon County, Florida, or a surrounding county, contact an attorney at Pumphrey Law to discuss the particular facts of your case. Our attorneys can assist you throughout the process and discuss defenses that might apply in your case. Call (850) 681-7777 to schedule a free consultation. 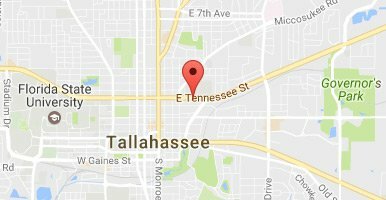 Our attorneys represent clients throughout the Florida Panhandle, including Tallahassee, Bristol, Monticello, Quincy, Midway and other nearby areas. Drug paraphernalia, according to Under Florida Statutes § 893.145, is defined as any equipment or product intended or designed for the use of inhaling, ingesting, planting, growing, manufacturing, converting, preparing, processing, testing, packaging, storing, concealing or transporting controlled substances. The prosecution can attempt to show the item used or possessed is drug paraphernalia by using several different factors, including the location of the object and whether any drug or marijuana residue was found on the objects. For example, if a syringe had residue on it, prosecutors could argue the item as paraphernalia. If the person who allegedly possessed the item or anyone else who was in control of the item admits to the purpose of it, that could be used as evidence to prove it was paraphernalia. Testimony from an expert witness concerning the likely use of the item also could be used. It is a misdemeanor of the first degree to possess drug paraphernalia. Penalties include up to a year in jail, a $1,000 fine and a permanent criminal record. Florida law defines the term possession to mean having personal charge of or exercise the right of ownership, management or control over the thing possessed. Mere proximity to drug paraphernalia is not sufficient to establish control over that paraphernalia when it is not in a place over which the person has control. Possession may be actual or constructive. Constructive possession is defined under Florida law to mean the drug paraphernalia was in a place over which the person accused as has control, or in which the person accused has concealed the item. In order to establish constructive possession of a controlled substance, the prosecutor with the State Attorney’s Office must prove the person had control over the substance and knowledge the controlled substance was within the presence of the person accused. Possession may be joint, meaning two or more people may jointly possess something, exercising control over it. In that case, each of those persons is considered to be in possession of the drug paraphernalia. For example, if drug paraphernalia is found in a shared bedroom, the two who share the room could be charged with possession of drug paraphernalia. In recent years, smoke shops have appeared throughout Florida. The businesses themselves often are legal, but in some situations they can provide illegal goods. Some of the items listed as paraphernalia, such as pipes, are not banned when used appropriately. However, when they are used for illegal substances, the items themselves become illegal. The prosecution can find ways to prove the items being sold were in fact drug paraphernalia. Written instructions or advertising materials provided with the item that describes its intended use or the way in which the item is displayed for sale could be factors. The seller can be charged with delivery of drug paraphernalia, which is a third-degree felony. The crime is punishable by up to five years in prison and a $5,000 fine. However, if the person who purchased the paraphernalia was a minor, charges can increase to a second-degree felony, punishable by up to 10 years in prison and a $10,000 fine. In a possession of drug paraphernalia case, one of the most vital parts of the prosecution’s case is to prove a person was in possession of the items. This means there must be clear proof that the paraphernalia was possessed by the accused, whether it is constructive or actual. Prosecutors must prove every element of the charge beyond reasonable doubt. Your Tallahassee criminal attorney can examine every step of the process to determine if the charge is adequate. An attorney could fight to prove you were not in possession of the paraphernalia. If you have been arrested for possession of drug paraphernalia, contact an attorney at . During your free, confidential consultation, an experienced defense attorney will help you understand the charges you face and the Leon County justice system. Our attorneys at Pumphrey Law will listen to the unique facts and circumstances surrounding your case to help you find the most favorable path to pursue. Call (850) 681-7777 or send an online message.